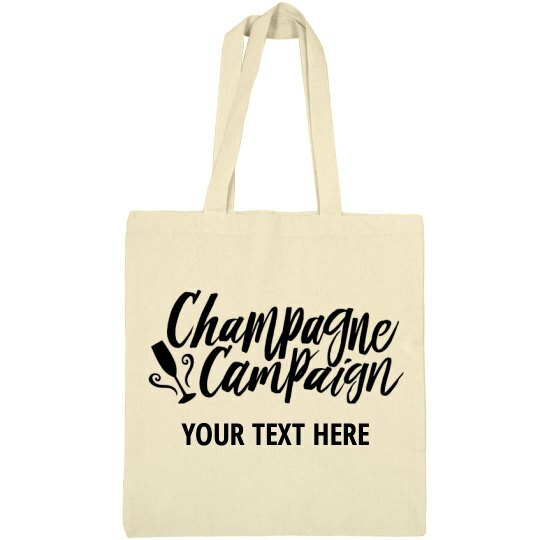 Hey there, champagne campaign! 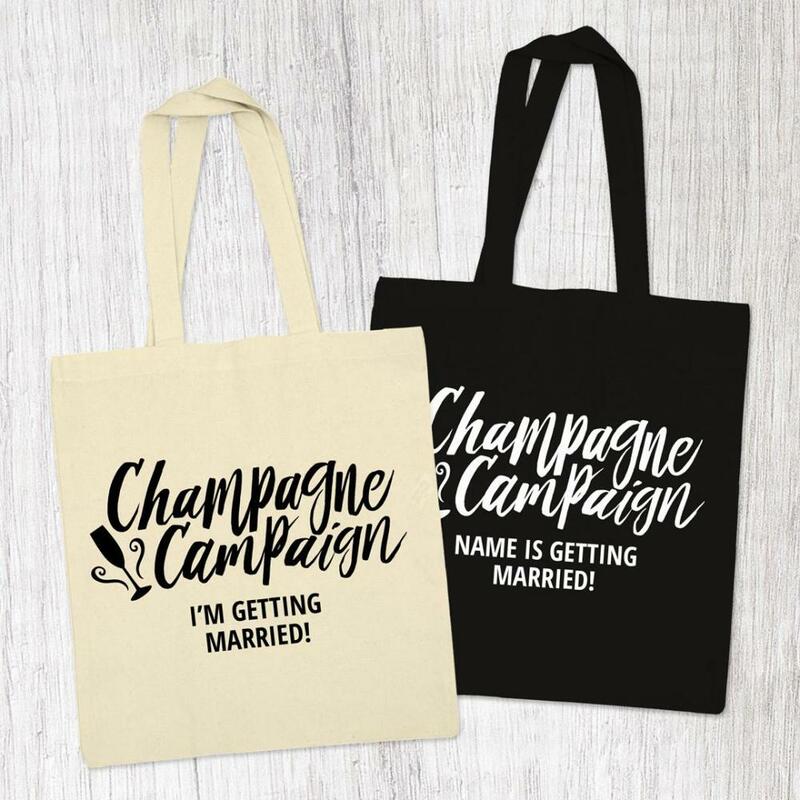 Customize a cute and trendy, canvas tote bag to carry around during the bride's bachelorette bash. Personalize it by adding custom text. Make sure you check out the matching black version.